It seems everywhere I turn in Copenhagen there are candles burning. Little ones, big ones, white ones, pink ones. Never scented, always plain and always, always going; in shops, restaurants, and on streets for no particular reason, like the little candle above. The past two days I’ve been staying in Nyhavn; a trendy part of town that was once not so trendy (when my grandmother heard I was staying here, she said, “not in the bad part of town!” It used to be where the fisherman worked and ladies “entertained them”). But now, a walk at night is beautiful as candles seem to line all the cobblestone streets; the city literally glows at night. Inside it’s just as lovely as in the restaurants you eat with a huge candelabra on your table and no overhead lighting. Needless to say, everyone looks lovely! But even during the day the candles burn, which surprised me a little though I confess to wanting to do this again when I return home. The candles just somehow make everything cosy and inviting no matter what their size (though I am loving the 3-foot white pillars I see everywhere! Even just standing alone outside doors). Danes began the tradition of constantly burning candles after being liberated on May 5, 1945 after a year of German occupancy. 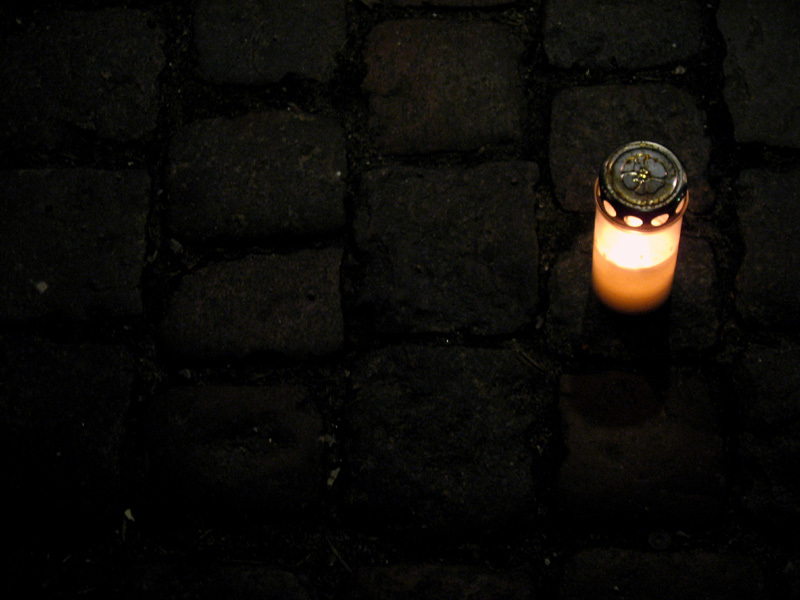 When the BBS broadcast the liberation, Danes spontaneously placed lit candles in their window – a tradition that doesn’t seem to be stopping. I’ve found that in America most people don’t regularly burn candles, and if they do, they are those overly scented candles that distract instead of invite (this is really the case at the dinner table when the scent of the candle conflicts with the scent of the food). I’ve found myself burning candles less and less over the years for many reasons; laziness, fear of them falling, not being able to find simple candles or candle holders or just not living slow enough to leave them burn. But seeing them here has changed that for me. There is nothing so cosy, so charming or inviting as a candle burning – day or night. So I will take a que from here and perhaps start slowly with a candle lit at breakfast – just as my mother does. Taking the time in the morning when I never think I have any might be a good way to set pace for the rest of the day. And then at night? Well, I think I will take to having my home glow a little more like the cobble streets of Copenhagen. I am so glad I found this site!I am full danish and am planning a trip to my family’s house in Odense,with a little stop by Copenhagen just to see the candles!For several weeks now I’ve gotten into the practice of lighting candles and now my home is just a bit more warm and inviting,thank you Alex!